The award-winning D hotel, a luxury 4 star hotel in Drogheda Co. Louth Ireland is located on the banks of the historic River Boyne. 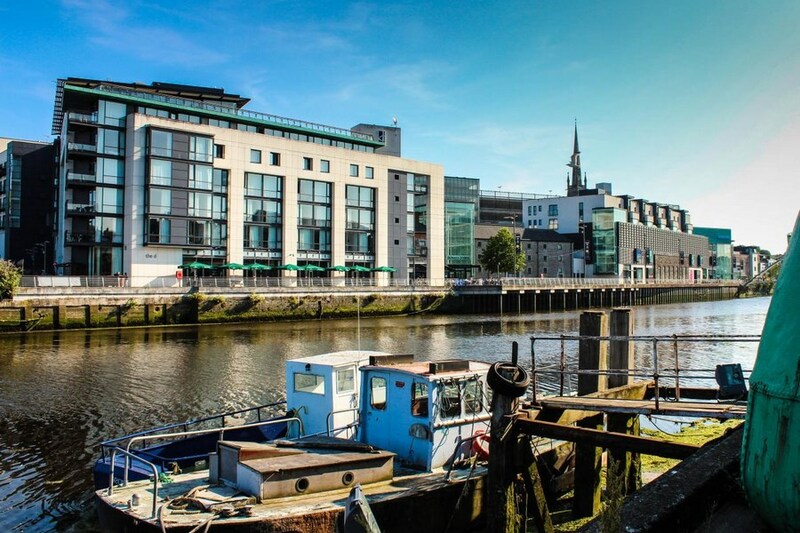 This impressive waterfront location includes the Scotch Hall shopping complex and a purpose built pedestrian bridge to the town centre with its many traditional pubs and restaurants. From 23 Nov 2018 d Hotel Residents can avail of use of the independently operated car park at a discounted rate of EUR5.00 per night. Please note that for all bookings an additional EUR100.00 deposit on a debit card or a pre-authorization of a credit card will be taken on arrival as a security deposit. If a valid card is not provided at time of check in, you may be refused accommodation. We really did not enjoy our stay at the D hotel. The hotel was noisey with a party night and residents smoking outside the front. The breakfast from the buffet was cold. A shame as the hotel has great potential. Great location & nice setting with views over the River Boyne. Staff had us upgraded as we were celebrating our wedding anniversary & a card with a box of choc was left in our room - very nice personal touch. On arrival, our room wasn't quite ready so left our luggage & went off to town, just a stones throw away. Our meal was included - nice selection on the menu. Food was tasty but steak was very fatty. Wings were delicious as was fish & chips. Room was very spacious. Breakfast was very organised, plenty of options if you chose not to have fry. Buffet style. Free car park - shopping centre next door so carpark is shared but free for residents. Overall - a very pleasant stay & would recommend it. Highly recomended. Excelent hotel with extremly friendly staff, very clean, comfortable with 5 star restourant. Food is fabulas. A lovely hotel with very helpful friendly staff.The food was great and Louise was fantastic in the restaurant. Would recommend to anyone. D Hotel is in a great location with free parking and great shopping centre next door. Remember to get your car park ticket validated when checking out. The room was spotless and very comfortable bed and pillows. Great choice for breakfast in the morning and lovely staff in the restaurant and reception. Used the mini-gym which was very small (3 pieces of main equipment) but adequate for a quick workout. Would recommend this hotel for single travelers, couples and families. Excellent hotel, good food , friendly staff and a great bar to boot. had a lovely time at the D Hotel. we stopped going to the D hotel a few years back because of a bad experience we had with the cleanliness of our bedroom that we stayed in. We decided to take a trip back to the hotel last week and to our delight I have to say that we enjoyed every minute of our stay from the staff , food and the cleanliness it was fantastic .We will go back again for sure. Nice hotel. The staff were friendly. The food in the Gastropub was very good and at a reasonable price. Car parking facilities available. Hotel very close to the centre of the town. Nice hotel, Great location, right in the centre of the town. Bedroom was bright and airy. View from bedroom was not very nice...... the carpark. Staff very pleasant. Good food in the restaurant. C.H. Our family comprising 10 adults & 1 baby stayed at the D Hotel dinner B&B on a recent Saturday night to celebrate a retirement. We were extremely well looked after and the hotel made a very special effort to recognise the retirement celebration occasion ... won't say what to avoid creating an unrealistic precedent but it was really much appreciated. Anyway, the reason we went to the D in the first place is because we had been there before and found it to be excellent, whether for a couple or a bigger family group. Good welcome. Food good, especially the dinner .. great to get restaurant standard in a busy hotel. Good atmosphere, great live music and rooms modern & spacious. Free parking a great bonus and all amenities, shops etc only a stroll away.... and easy access from Dublin was also an important aspect to us due to the mid winter timing of our event. Not a 4 star hotel!! Room was freezing when we got there, we were then offered a portable heater for the room. Restaurant and bar closed for private function not told in advance had to have dinner while the band was playing. Would never return to this hotel. We found the hotel really nice - pity about the surroundings. The staff were extremely friendly and the food was outstanding at the prices charged. The only point we would make is that the extremely friendly young barman be shown how ho make an Irish Coffee properly - this is only a minor point in an otherwise enjoyable stay. STAYED AT THE D HOTEL ON MONDAY 15TH FOR 1 NIGHT LOVELY HOTEL REALLY ENJOYED OUR STAY ,FOOD WAS EXCELLENT ,STAFF WERE FRIENDLY AND HELPFUL. HAD DINNER AND BREAKFAST. COULD DO WITH MORE SIGNPOSTS TO SHOW WHERE THE HOTELS IS SITUATED. 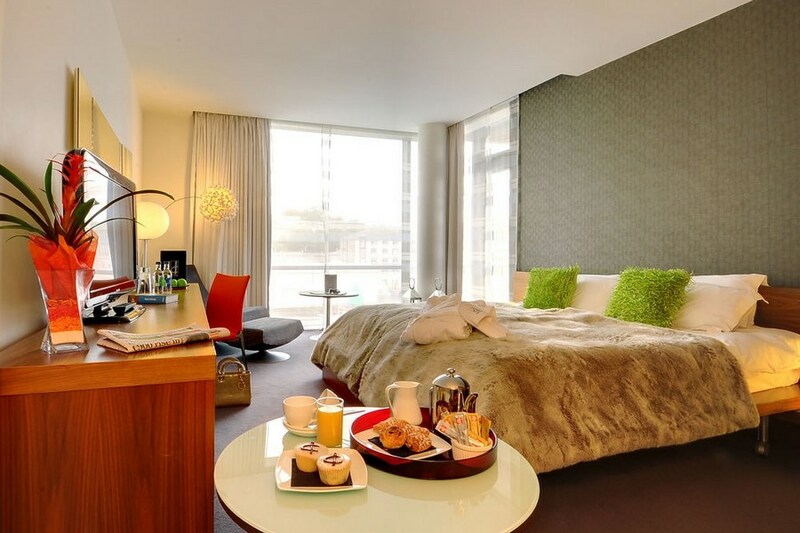 The D Hotel in Drogheda is in a great location near the center of the town. It's a pity that it is so hard to find both for motorists and pedestrians. A lovely clean hotel with very helpful and friendly staff. The menu is a little dated possibly of 70's or 80's vintage. But the food was fine though uninspiring. This is a 4* ? hotel without air conditioning. Enjoyable stay. Nice hotel,rooms are nice and beds are very comfy,breakfast was very nice and the hotel is child friendly,only downside is the carpark and building site beside it. Had a lovely night in this hotel. Staff were very friendly. Food was very good. We checked in late and got a corner room which was a bit small but very clean and comfortable. Lovely hotel in a very scenic and central location. All the staff were very warm and welcoming. had a lovely stay at the hotel. Staff very friendly. Food was also very good. We had a freat time in the Dhotel, the staff were great, and the bedrooms were lovely, my daughter had her 40th birthday party there, and we could not fault them, she had three people asigned to her for the party and were there checking with her, she said they were brilliant. All the family were very impressed with the hotel. 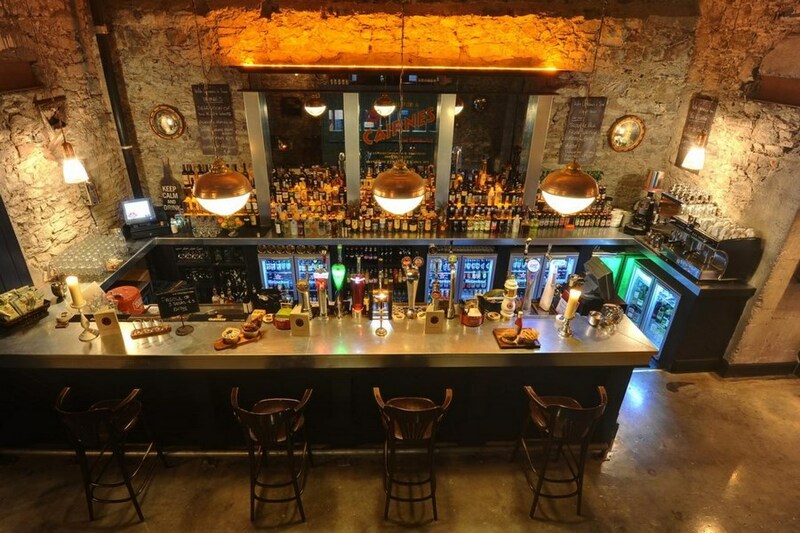 It was quiet a while since they were in Drogheda and could not believe the location, everything was in walking distance. This hotel is very nice.spotless clean.Staff are very helpfull.Lidel hotel breaks are great value for money. Enjoyable stay. Lovely room overlooking the river. Comfortable bed. Very good value. Me and my firends had a fantastic stay in the D Hotel, rooms were spacious, clean and warm. The food was lovely and we really enjoyed the entertainment in the bar as we did not have to leave the hotel. The staff were friendly and helpful. Would return again. Hotel nice very modren, not very cosy no sky tv in bar area so you need to go out of hotel to watch any football matchs. Situated good for going in to town. Food in resturant very good. Over all good value for money. fab hotel, great staff, good price, we would stay there again. Nice hotel, food lovely, well worth the deal BUT rooms are minute but bed comfy and I didnt like the way the restaurant is in the bar doesnt feel very special just like glorified bar food. Staff were nice though. I have stay in alot of 4* hotels and this doesnt really deserve it but nice all the same for a night away but I wont be returning.